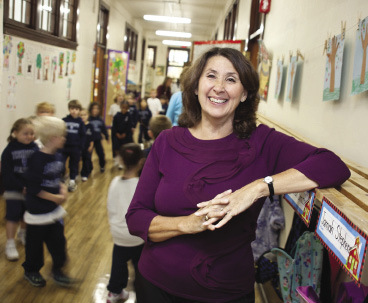 This may be Brenda Reichert’s first year as a Catholic school principal, but she’s had a lifetime of experience. It’s for this reason that Reichert was delighted when she was appointed principal of Most Holy Rosary School in Syracuse over the summer. Reichert attended St Matthew’s School and Bishop Grimes High School. She earned a bachelor’s degree in English education from Le Moyne College, a master’s degree in counseling psychology from Chapman University and a certificate of advanced study from Le Moyne College as a school building leader. Before taking on the role of principal, Reichert had been an Alcohol Drug Abuse Prevention Education Program (ADAPEP) counselor for Catholic schools in the diocese since 1989. She said one of the first schools she worked in was Most Holy Rosary. “I’ve come full circle,” she said. As principal, Reichert said she is learning that running a Catholic school takes a lot more than just loving Catholic education. She knew going in that there would be a steep learning curve for a first-time principal dealing with everything from morning prayers to state mandates. Reichert believes this dedication on the part of the staff at Rosary has led to small miracles happening every day. When there was no room in the packed schedule for a technology class, the teachers talked it over and somehow the time was made. When there was no one who could be at the back door of the school to let the children in and out, a retired sister agreed to come every day to help. 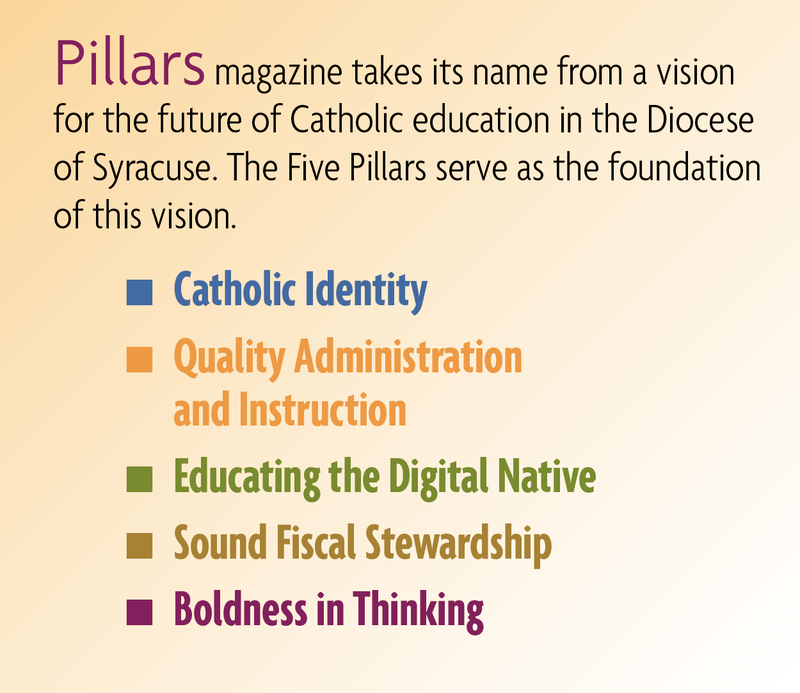 Of course, it’s not just the teachers who are stepping up to meet the challenges of Catholic education in a modern world. Reichert was appointed principal of Most Holy Rosary School just before the school was handed back to the parish by the Syracuse Diocese. Reichert knew that meant a challenging year, but Rosary’s pastor, Rev. Fred Mannara and the families of the parish have made the transition a smooth one. Reichert knows that a neighborhood school like Most Holy Rosary is unique and that, as principal, she has the opportunity to bring it into the future. A campaign is in the works to generate revenue so that all children who want to come to Most Holy Rosary will be able to attend. Jennika Baines is a freelance writer based in Syracuse, NY.